Andy Bowdoin has been sentenced to 78 months, according to sources. I will post the documents once they appear on PACER. In another of the many ASD related cases, this one (10-cv-02147) was a case entitles for the amount in the bank, and the near the last of Andy's money forfeited. Today I spoke with the Assistant US Attorney that is gathering information from prospective claimants, Ms. Toni Donato. I was told that in her conversations with the other attorneys involved, they expect something to happen within the next few months regarding Claim Forms and submission of documents. To be considered for the 2nd remission, you must provide contact information to Ms. Donato in order to receive claim forms and instructions. Thanks for the information. I will pass it on to anyone I can think of who may not have received back their losses in ASD from Rust. It is possible the story you expected to find at this URL has been moved. Please use the search function in the upper-right corner of this page. Type in a short search string, press "Go," and the engine may return the story that once existed at this URL. Thanks updating the broken link. shipdit and Char like this. Broken link. I can't believe he is really out. Curses! 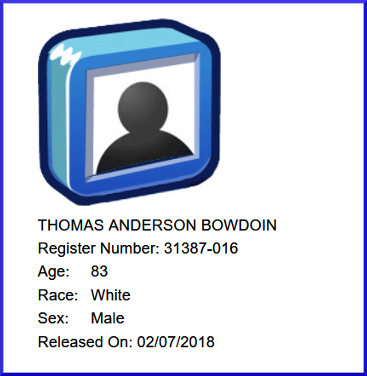 He was 78 years old in 2012 at sentencing, which should make him 84 now. Soapboxmom, Char, ribshaw and 1 others like this. Actually he was sentenced to 6.5 years (78 months), but only served 5.6 years due to time off for good behavior.